Black Country law firm Higgs & Sons’ fundraising for 2018 has again topped £22,600, nudging ahead of the previous year’s record-breaking total. 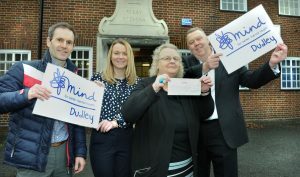 Half of the funds have been presented to Higgs’ Charity of the Year, Dudley Mind, with the remainder equally split between 10 good causes supported by the Higgs Charitable Foundation. Mark Evans from Dudley Mind said: “We are extremely grateful to Higgs & Sons for choosing us as their charity of the year. Higgs & Sons’ extensive CSR programme supports a range of projects throughout the region each year. As well as selecting a dedicated charity, Higgs employees also provide hands on support to many other organisations, committing time and resources in support of the work they do within the Black Country and the wider West Midlands. 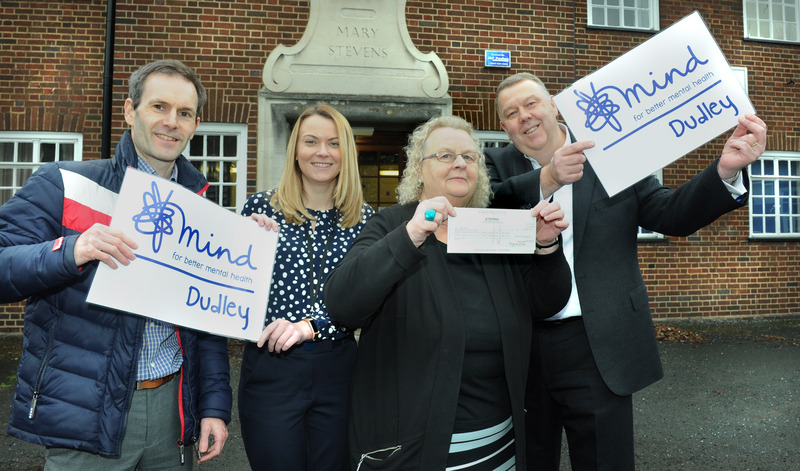 And while Dudley Mind was the main beneficiary, the Higgs Charitable Trust was also able to present cheques for £1,130 to the following 10 organisations: Breast Cancer Haven, Cancer Support at The White House, Edward’s Trust, The Mary Stevens Hospice, Midlands Air Ambulance Charity, Children’s Liver Disease Foundation, Beacon Centre for the Blind, We Love Carers, The Animal House and the CAB Dudley Borough. Fundraising events over the year included the Annual Higgs Six-a-side Football Tournament, the firm’s own version of the Three Peaks Challenge – Peaky Climbers – that raised more than £7,000 and the annual charity quiz, that raised £4,500. Other events included the Worcester half marathon, a netball tournament, cake sales, golf events and individual donations.